Professor Naqvi’s work is focused on applying deep learning to study advanced models of financial engineering, portfolio management, and asset management. 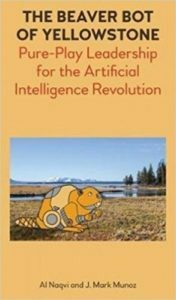 He uses a unique approach that combines complex adaptive systems, behavioral finance, game theory, and real options to design state of the art artificial intelligence system to predict stock movements and financial market performance. Specifically Professor Naqvi’s model closes the gap between operating decisions of a firm (for example Supply Chain Management) and its financial decision-making (for example, Capital and Capital Structure). Professor Al (A.I.) 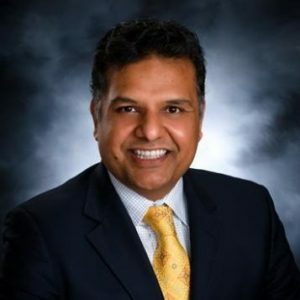 Naqvi is a leading expert in transforming companies from the “e” to the “ai” era. He specializes in total and integrated business transformation by using artificial intelligence. 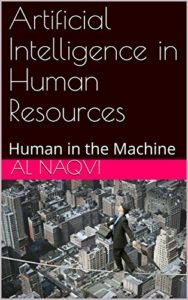 Professor Naqvi developed the first and most comprehensive body of knowledge for AI in Corporate Strategy, AI in Finance, AI in Marketing, AI in HR, and AI in Supply Chain Management. His work has been recognized by world’s leading professional societies, universities, and companies. Over 300 companies have benefited from Naqvi’s research. He is widely published in both academic and practitioner publications. Al Naqvi’s professional research interests are broad, and include artificial intelligence, applied AI, robotic process automation, deep learning, complex adaptive systems, cognitive organizations and leadership, and strategic cognitive transformation. He teaches several classes on Applied Artificial Intelligence, Deep Learning, RPA, and Cognitive Transformation at the American Institute of Artificial Intelligence. Professor Naqvi is passionate about teaching people about the potential and practical applications of artificial intelligence. He calls it reskilling and re-intellectualization of the workforce. He has designed several products using Deep Neural Networks. Known for making artificial intelligence fun and easy to understand, he has appeared in various conferences and shows all over the world. He lives in the greater Washington DC area. Technological breakthroughs relating to artificial intelligence has redefined business operations worldwide. For example, the ways in which data is captured, processed, and utilized to optimize customer interactions has grown by leaps and bounds. The change is redefining the structural dynamics of business strategy, economic theory, and management concepts. Leading technology companies around the world have expanded their research in artificial intelligence. With IBM’s launch of Watson, a new cognitive era has started. Investment firms have backed numerous emerging artificial intelligence companies. Meanwhile, there is paucity of academic and business research on the subject. 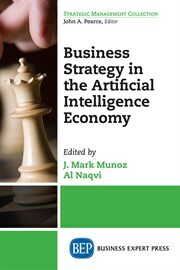 This book project is a pioneering examination of how artificial intelligence is transforming the contemporary business strategy. 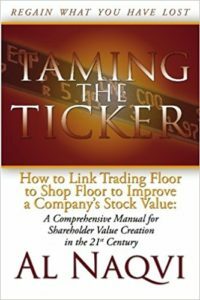 Taming the Ticker uses a behavioral finance approach to create shareholder value by understanding, incorporating and actively using shareholder expectations in both operational and financing decisions. An expectations centric framework for fundamentals based investing. Strategy and Competitive Intelligence Prof.
Al Naqvi presented the state of the industry in AI in Healthcare.